There are so many games out there that rely on an individual’s personal vocabulary. This isn’t anything new, I regularly lost sessions of Boggle against my parents when I was a pre-teen. It’s one of those things that cannot be overcome – people of different ages, experience and education will have varying levels of knowledge and vocabulary. 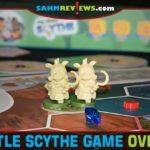 So how do you make a game that is fair and fun for all walks of life? Early last month we showed you a game from the E•G•G Series, SiXeS, that relied heavily on your recall of words. Because of the different types of rounds, some requiring you to match others, some looking for unique words, the game seemed to even out the word knowledge differences we naturally have. But even with custom-tailored rules, it seemed that the adults had the advantage and usually ended up explaining what a word meant. Our expanded vocabulary just gave us too much of a leg up. It seems we have found a game that simply and ingeniously handles this problem! 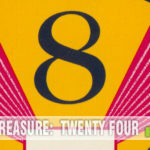 Choice Words by Mindware is very similar in style and mechanics to SiXeS, but with one simple rule exception. Choose a word that is valid, but no one else knows its meaning (or has never heard of it), and it becomes invalid! Let’s look at how this works. 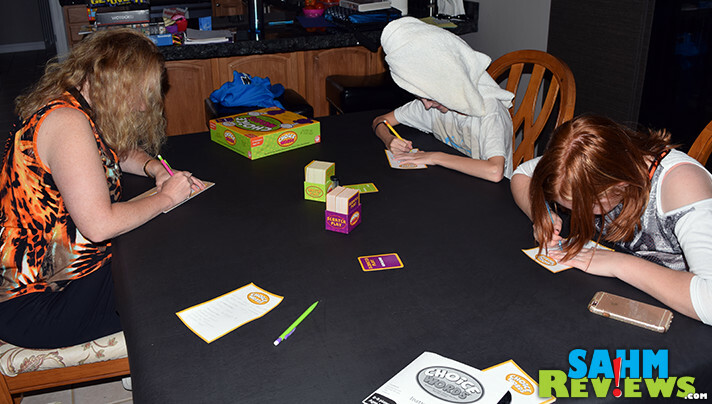 Each player is given a sheet of paper and a writing utensil. 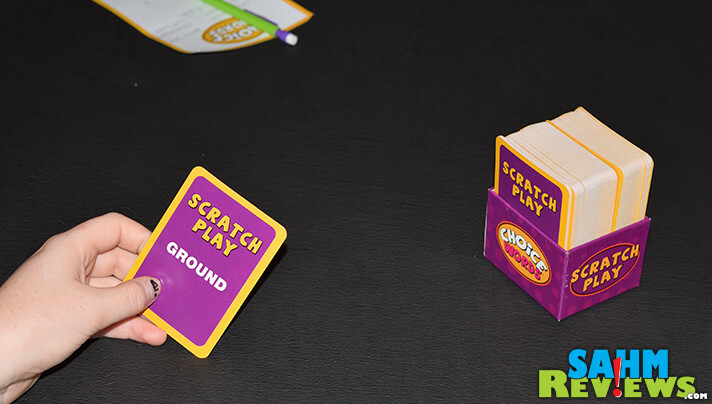 Included in the box are two different decks of cards, one marked “Scratch Play” and the other “Match Play”. Starting with the youngest player and taking turns clockwise, the active player draws one card from either deck (their choice). 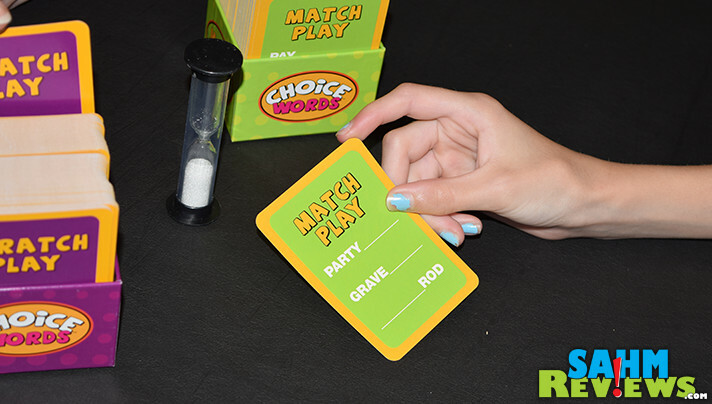 If a Scratch Play card was chosen, it is read aloud and the included timer is flipped. Everyone must now race to write down as many commonly known words, titles, phrases and even proper names that include the root word on the card. For instance, if the root word is “grand”, you might write down “grandfather”, “grandmother”, “Nestle Grands”, “grandfather clock” or even “100 grand chocolate bar”! Words that are made by simply adding an “s”, “ing” or “ed” are consider “cheap words” and not allowed. Add them to a full phrase and then they become valid. Once the timer runs out, one point is awarded for any valid word that no one else thought of. BUT, if you are challenged by someone who doesn’t know what a word means or has never heard of it, a public debate opens. You may then explain your word and why you think it is valid, while others might try to disprove your theory. If at any time a second person chimes in and also challenges, then the debate is over and your word is immediately considered invalid. 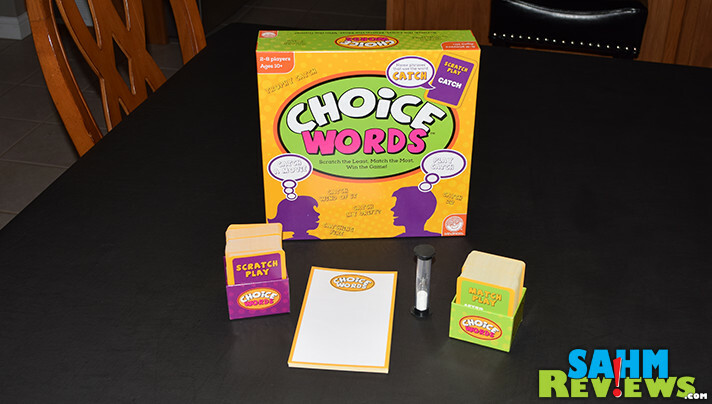 Choice Words supports up to eight players and is advertised for ages 10+. A full game runs until one player has a pre-determined point total, dictated by the number of participants. As I hinted to earlier, we feel with the inclusion of the challenge rule that it could be enjoyed by children as young as six or seven (expect a LOT of challenges!). 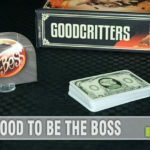 This rule alone helps even the playing field and can also make for some lively exchanges with favoritism and leader-piling, all in good fun. 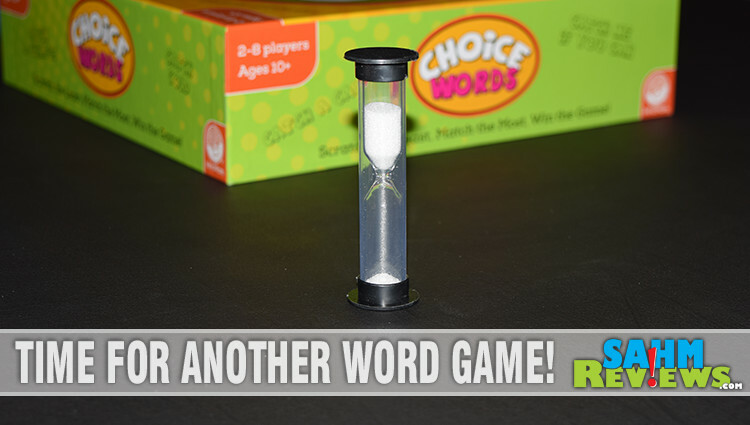 If you’re in the market for a solid word game that you can fairly play against your children, you won’t find a better choice than Choice Words. 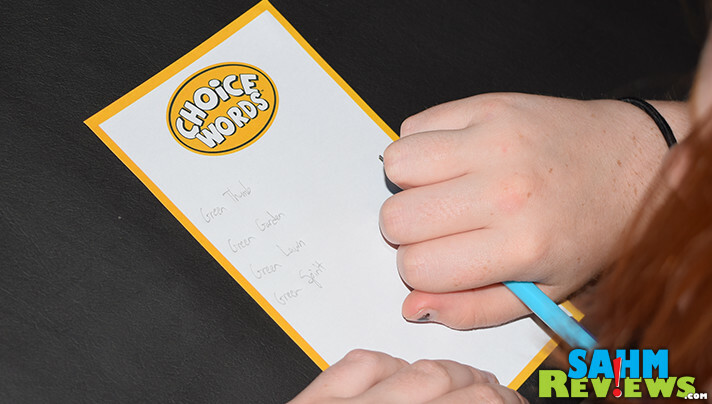 You can find copies of Choice Words on Amazon for under $25 or at your local game store or big-box retailer. Connect with Mindware on Facebook or Twitter for news about new releases or maybe even a discount code or two! You can also take advantage of this opportunity to win a copy using the form below. That looks like a ton of fun. We have family game night on Wednesdays. I am going to give this one a shot. Word games are my favorite. My kids are a little young for this one yet, but I see it being a great game for the family in a couple of years. I love that name for that game. I could definitely play that one too! This looks like so much fun! I love game nights. I like the rule, Makes for more fun. It seems to be a decent rule, I don’t have a problem with it. No problem with the rule, looks like a fun game! I like the rule! Makes it different than other word games! I think the rule is fine, it looks like a fun game. I think having a challenge rule sounds interesting.